Tablets seem to be very popular at the moment, with new models being announced every day by a range of manufacturers. 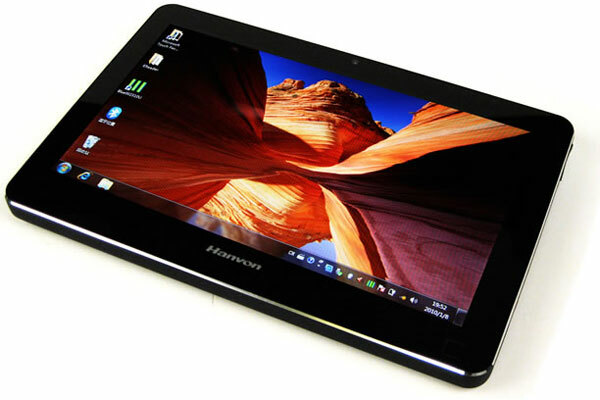 Today we have a new Window 7 tablet from Hanvon, the F10 Touchpad. The Hanvon F10 Touchpad features a 1.6GHz Intel Atom Z530 processor, plus a 10.1 inch multitouch LCD display with a resolution of 1024 x 600. Other specifications include 1G of RAM, 120GB hard drive, integrated 802.11 b/g WiFi, Bluetooth 2.1 plus microphone and headphone ports as well as VGA and two USB ports. The Hanvon F10 Tablet will come with Microsoft Windows 7 Home Premium, there are no details on pricing or availability as yet, although it is reported that it will retail between $500 and $600.